We pride ourselves on providing personalized and professional care to all of our clients. Aestheticians Julie Schwetlick and Lily Morais and physicians Dr. Maria Carracino and Dr. Kara Flaherty strive to ensure that you leave our medical aesthetics practice feeling important, well cared for and happy every time. You will be greeted with a smile, a relaxing environment, and top quality care leaving you wanting to come back again. We can’t wait to help you achieve your beauty goals. Your personalized service at Skin Deep Medical Aesthetics begins with meeting our aestheticians who will help you create a comprehensive plan to meet your beauty needs. Our dedicated team of physicians are on-site to discuss the available treatments and procedures that will assist you in achieving your aesthetic desires.We will discuss your treatment options, pricing and financing, prepare an appropriate program, and coordinate your treatment schedule. Here at Skin Deep Medical Aesthetics our aestheticians will address your individual concerns with personalized facials and peels, professional care, and products you can believe in. The skin, our body’s largest organ, actively responds to internal and external stress factors. Dehydration, sun damage, breakouts and premature aging are some of the most common effects of skin stress. The Image Skincare product line and peels at Skin Deep offer state of the art ingredients in higher concentrations as they are only available through licensed skincare professionals. 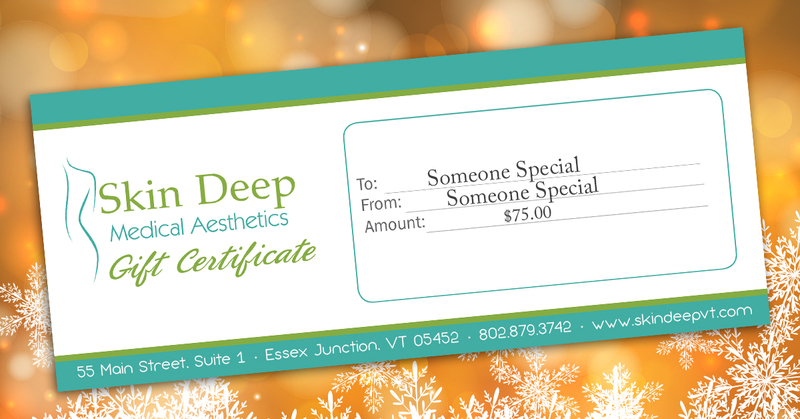 Julie Schwetlick is a Vermont State and New York State licensed aesthetician. Trained in New York City at the prestigious Christine Valmy International School, the first ever aesthetics school in the US, she relocated to Vermont in 2016 with her family. Lily Morais comes to Skin Deep with ample experience in luxury skincare and cosmetics. She started out as a makeup artist in 2008 at MAC Cosmetics and Sephora at the Prudential Center in Boston, where she worked with celebrity clientele. Lily decided to take her passion for beauty and skincare to the next level and obtained an Esthetics Licence at the O’Briens Institute in Vermont. Trained in: Aesthetics, Makeup, Lash Extensions Certified, Lash Lifting, Lash Tinting, Brow Henna, Waxing. Our staff of medical doctors review all patient profiles and approve all advanced treatment services. All injections are performed by Dr. Maria Carracino & Dr. Kara Flaherty.